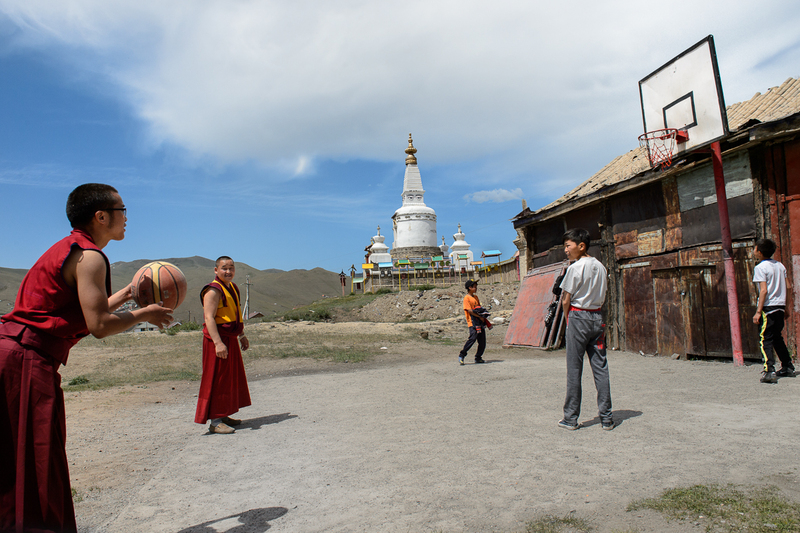 Young Buddhist monks play basketball with local teenage boys at the Dambadarja monastery, located in the north-eastern suburbs of UB. The monastery was among the 1000 Buddhist temples and monasteries that were destroyed or damaged between 1937 and 1939 by Soviet and Mongolian authorities as a supplement to the Soviet Great Purge under Stalin. After the communist period ended, Buddhism, Mongolia’s main religion has experienced a strong resurgence.